There’s a point with a piece of technology where it can work as a service. Then there’s another point where it takes it beyond what you initially thought it could do. EVO is that piece of technology. Michigan based, Gorilla, a commercial and entertainment based Production Company, has many stories to tell. Starting as a two-man venture in a basement, Gorilla set out on a journey to find success in the industry. Ten years later, the company is now a thriving community of over 30+ artists in a collective space, collaborating on the production of award-winning commercials, documentaries, music videos and animations. Now with the inception of an LA division, GRLA, they will be seeking to expand their theatrical and narrative reel. As Gorilla continues to grow, so have their workflow demands. Thanks to SNS EVO, there’s a solution that fits perfectly into their unique and synergistic style. Leasing a large space, Gorilla subleases offices and/or workstations out to various freelance artists. This allows them to pool their resources on projects and tap into the many different artists’ talents and interests. It’s an ideal format for fueling creativity, but has proven to have workflow efficiency challenges; a system that provides little safety and security for media assets and time consuming methods of sharing and transferring files. For the Life of the World, a seven episode series produced by Gorilla required heavy editing, VFX work, and a fast turnaround time. The production team of six editors, three VFX artists, one Colorist and a Composer needed to easily access project files. With EVO’s video project and sharing abilities, the team was able to access their files simultaneously. Additionally, they introduced a separate screening room to the office space in which artists could render and close out projects then walk down the hall and instantly view the dailies for review with the rest of the team, all by connecting to EVO. Gorilla’s workflow is not like a traditional post-house. With the exception of a couple of dedicated Gorilla iMac stations for transferring, the studio does not have dedicated machines for specific purposes, but rather individual multi-purpose workstations. EVO fits into their collaborative style perfectly by enhancing their ability to share files more practically without changing the way they work. They now have 10 workstations connecting to EVO, mostly via Ethernet with some prioritized workstations for Fibre connectivity, transcoding, color grading and animation, which requires access to raw files. Gorilla uses leading application tools including Final Cut Pro, the Adobe Creative Cloud with Premiere and After Effects, Cinema 4D, and Da Vinci Resolve. All of their productions are shot on RED cameras, Epic and now RED Dragon. EVO’s built-in NAS and SAN functionality enables them to split up the RED raw files that the VFX artists and Colorist need to access on the SAN side and place the remaining files on the NAS side where they can set up an easy to use file protocol. EVO’s enhanced features include native bin and project sharing for Avid as well as project locking for Adobe, Apple and Pro Tools workgroups and more, up to 28 direct-connect GBe Ports, up to 12 direct-connect 10 GbE ports, and up to 12 direct-connect Fibre Channel ports. EVO has embedded asset management functionality through its ShareBrowser desktop client allowing for creatives to search, index, verify and preview their files. ShareBrowser is included with EVO, and there is no per-seat licensing. “People don’t understand that when we work on a project, we pour our hearts into it,” related Berghuis. “We spend days, hours, it becomes an emotional process and we are completely invested. Any interruption in workflow is hugely detrimental and can be a domino effect that destroys the whole flow of the team. SNS really understood this. EVO has given us security and flexibility and enabled us to rethink our entire workflow system, for the better." SNS EVO continues to help Gorilla expand workflow capabilities to showcase their limitless imagination. In addition to their award winning commercial and theatrical productions, Gorilla has just launched, Exploring Kaman, a reality series following the off-court antics of NBA star, Chris Kaman. Gorilla is an inspiring model for the future of production companies. They are constantly seeking out new and intriguing ways to tell stories, as well as the best technologies to support these efforts. For over 15 years SNS shared storage hardware and software solutions have been advancing workflow efficiency for Mac, Windows and Linux workgroups for content creators worldwide. 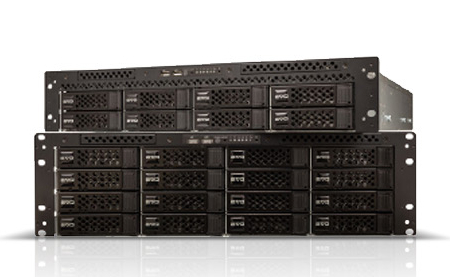 EVO, SNS flagship shared storage server combines high-performance with extensive connectivity in a single product, including 16Gb/s fire and 10Gb/s Ethernet. With EVO’sShareBrowser desktop client, you can search, index, preview, protect and verify assets with no additional software required. SAN or NAS, or both at the same time, EVO is designed for online real-time use with leading applications including Apple, Adobe, Autodesk, Avid and Blackmagic.